With the extensive use of Photoshop and other editing software, it’s extremely difficult to tell the difference between real and fake these days. But if the photographs of this Japanese model are to be believed, then she couldn’t be a day over 20. Believe it or not, Masako Mizutani’s real age is 43, and she’s a mother of two. Her age-defying looks have become a sensation in Japan, especially on TV. She’s being called ‘Japan’s Lady of Eternal Youth’. Now, I’ve always felt that Asians, especially the Japanese, have beautiful skin that doesn’t seem to age very much. Even so, Masako clearly stands out from the rest of her countrymen. In the pictures, her skin looks unbelievably soft, supple and practically flawless. During her TV appearances last month, Masako revealed a few of her beauty secrets to the world. She supposedly spends five hours a day just taking care of her skin. Her tips include: drinking plenty of water to flush out toxins, eating a fresh, healthy and balanced diet, using vitamin E based creams, sunscreen, cleansing, toning, moisturizing, plenty of sleep and no smoking. Well, to tell you the truth, these tips are generic beauty advice that’s being dished out ever since I can remember. Unless she has some other secrets, they seem to be doing wonders in her case. A few people have started to wonder about the authenticity of Masako’s online photographs. They say that there’s a marked difference (of at least 10 years) between her TV self and internet self. Photoshop, much? Well, there’s no real way to tell. Even so, Masako does look pretty youthful on TV. There’s also a saying that Asian women look great and youthful until menopause – which is when they seem to age almost instantly, overnight. But for now, Masako certainly does seem to be the Lady of Eternal Youth. Maybe we’ll just wait and watch how the ‘eternal’ part develops. Some of you may say she doesn’t look that good for her age, but it’s important to note that Masako also has a 20 year old daughter. I think that is important to consider because it’s a known fact that raising kids takes its toll on the body. 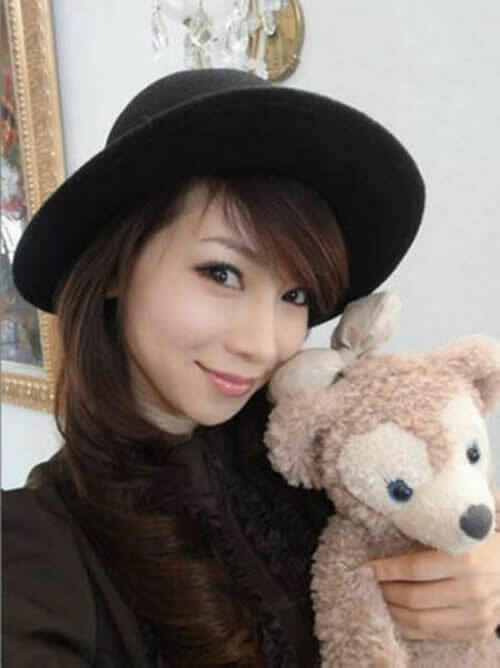 Still this Japanese housewife could pass as her daughter’s sister any day. But Masako Mizutani isn’t the only woman to cause Internet controversy over her youthful appearance. A while back, we featured the story of Annette Larkin, a 70-year-old woman who doesn’t look a day over 40. Like Masako, she drinks a lot of water (rain water, to be precise) and also follows a vegan diet.